Thermo-reactive Masque to provide intense nourishment for dry and sensitised hair. This product provides nutrition to the hair with intense nourishment while the hair looks and feels softer and is much easier to untangle. "Our first thermo-reactive range to provide intense nourishment for very dry, sensitised hair. - Glucose: Provides an energetic boost for the nutrition of the hair fibre. - Proteins: Restore the nutritive deficiencies on the lengths, leaving the hair nourished and steeped in softness. - Lipids: Create a shield on the fibre’s surface to protect it from the drying out process. My hair has always been dry. Even as a child I remember leaving conditioner on my hair for hours hoping it would be as shiny and healthy as my sister's. It never seemed to work. 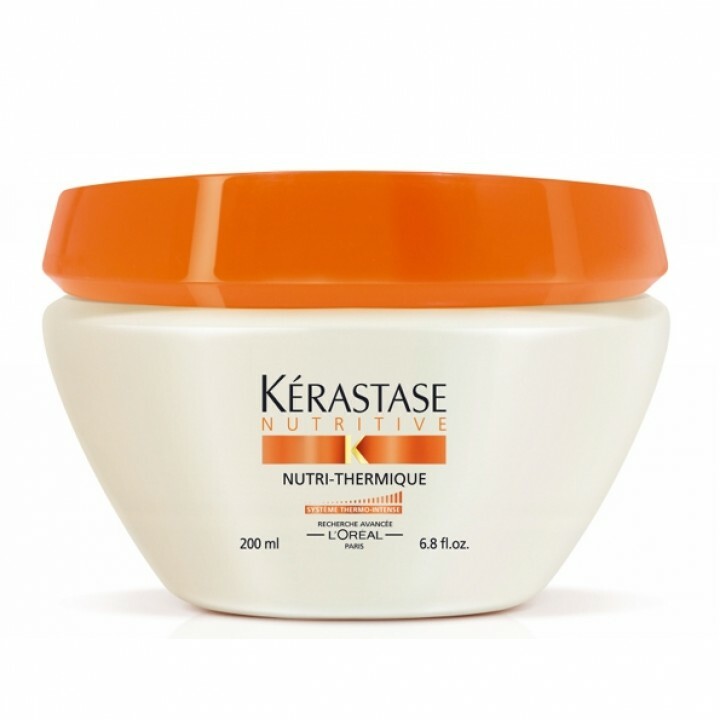 Until one day years later while looking for a solution to my then even drier bleach blonde bob I was introduced to Kérastase Nutritive Masquintense. It was expensive but I needed moisture and I needed it ASAP. From the first use my frizzy frazzled hair looked smooth and less stressed. It also felt softer than it ever has in it's life. Even my sister noticed a difference. Ha! take that sis I can have beautiful shiny soft hair too! Oh woe sorry, that was a bit much. Basically this is the only product that leaves my hair soft, shiny and smooth without feeling heavy and weighed down.